Moe Alsi, Inc. dba Alsi Wood Floors was established in 1999 by Moe Alsi. Moe worked for many years as a lead installer for one of the finest wood flooring firms in Southern California before starting his own company. Since day one, Moe has built his company by providing excellent customer service, quality craftsmanship and being on every project to manage the process. When you hire Alsi Wood Floors for your project, you’re hiring Moe and his small team of original employees. Moe and his team have been working together since the first day in business. Moe has chosen to remain boutique in size in order to maintain the finest of quality control over every step of the process and to ensure all details are done to the highest quality. Moe’s craftsmanship, knowledge, gentlemanly manner, and ethics stand apart from the rest. Alsi Wood Floors’ scope of work covers all aspects of hardwood flooring. We welcome all types of hardwood flooring work ranging from a simple sanding and finishing of existing floors, to a custom installation of the most intricate design. 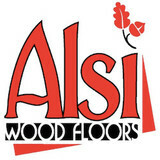 Alsi Wood Floors enjoys working closely with interior decorators and designers, architects, real estate firms, general contractors, construction companies and, of course, private home owners. 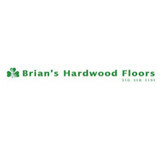 Since, 1996, UH has been serving the wood flooring needs of Southern Calilfornia. We succeed by maintaining the highest product quality standards and the best customer service. We specialize in unique and custom flooring. For nearly 20 years we’ve been providing homeowners, builders, designers and architects with the very best flooring products available. We scour the globe for the latest trends in wood and have over one million square feet of wood flooring and moulding in stock – from hand-distressed to red oak. We carry it all. What kinds of services do hardwood flooring installation professionals in View Park-Windsor Hills, CA provide? 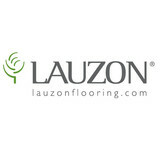 Find hardwood floor experts in View Park-Windsor Hills, CA on Houzz. Search the Professionals section for View Park-Windsor Hills, CA hardwood flooring installers and dealers or browse View Park-Windsor Hills, CA photos of completed installations and look for the professional’s contact information.